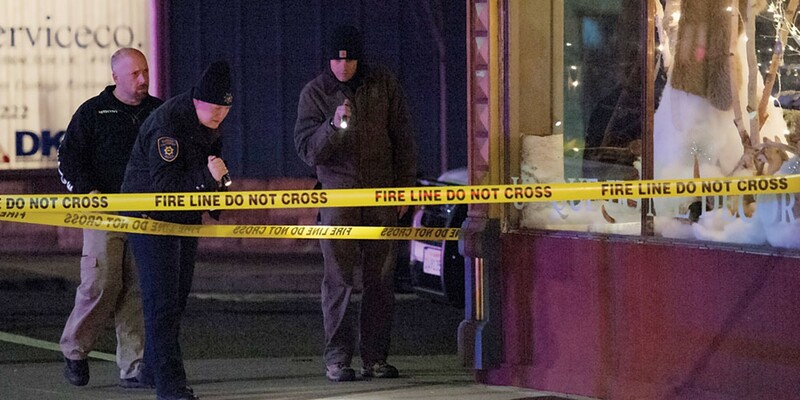 Photo by Mark McKenna Investigators search for evidence at the corner of B and Fifth streets in Eureka after the Dec. 6 officer-involved shooting. Photo by Mark McKenna EPD Chief Andrew Mills takes questions at the press conference about the Dec. 6 officer-involved shooting. Less than two hours after last week's officer-involved shooting in downtown Eureka, an elite group of investigators from local law enforcement agencies assembled for a briefing on the incident. That's where a number of key decisions were made about the ensuing Critical Incident Response Team investigation, from assigning EPD senior detective John Gordon and District Attorney investigator Marvin Kirkpatrick as co-leads in the probe to determining who would conduct witness interviews, talk with the four officers and process the crime scene. "There are a lot of moving pieces and to coordinate it is a monumental effort," Eureka Police Chief Andrew Mills said. While the circumstances of every officer-involved shooting differ, the corresponding Critical Incident Response Team investigation is conducted under protocols established in an agreement between the 14 members of the Law Enforcement Chiefs Association of Humboldt County. That includes the county's five city police departments, the sheriff's office, county probation, the Humboldt State Police Department, Cal Fire, the district attorney's office, CHP, California State Parks, the National Parks Service and the state Department of Justice Crime Laboratory. The idea is that no matter where in Humboldt County an officer-involved shooting takes place, the investigation will be run in a uniform manner across the board. "I think it's consistency in the process that's important," Mills said. With tensions running high across the nation on the subject, local officials said the agreement works to provide multiple levels of transparency to ensure cases are fully and fairly investigated. 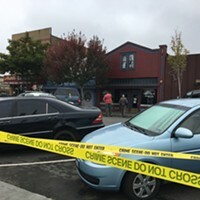 According to Humboldt State University visiting criminology professor Clark Sugata, one of the issues at hand is the disconnect between how the average person might view these incidents compared to law enforcement. Where the public may be asking what could have been done to prevent a shooting, law enforcement is evaluating the officers' perception of danger and whether the use of force can be consider "objectively reasonable." "The problem is the department and the public tend to ask very different questions in these matters, so the public can often feel slighted, that an injustice was carried out. ... That's where I tend to see the gap," he said. Undersheriff William Honsal said law enforcement agencies are cognizant of those gaps, which highlight the importance of "clear cut" guidelines that provide specific protocols for the investigations. "It serves the whole CIRT policy very well approaching it that way. ... One thing we want to do is make sure we are maintaining that public trust," he said. The main objective of CIRT investigations is to determine whether a "criminal liability" exists. The ultimate determination on charging decisions lies with the district attorney's office, which under the agreement has an investigator act as a co-lead in the investigations. The 17-page document describes in detail how the process is expected to unfold and when certain steps are expected to take place, outlining everything from how to activate CIRT and investigative responsibility to the role of the district attorney's office and the process for conducting interviews with officers. Not just anyone is brought to the briefing or participates in CIRT reviews. Honsal described the 30 or so current CIRT members, including evidence technicians, as an "A-team" of seasoned investigators from various local agencies who undergo specialized and ongoing training. "There's a level of expertise we demand if you're going to be a CIRT investigator," he said. Under CIRT protocol, the agency that has jurisdiction where the incident takes place activates and oversees the investigation, meaning that role generally, but not always, falls to the organization that employs the officer or officers involved. Recent exceptions include the November of 2015 investigation into a CHP shooting in Eureka that left an officer wounded and a suspect dead, which was headed by the Eureka Police Department. 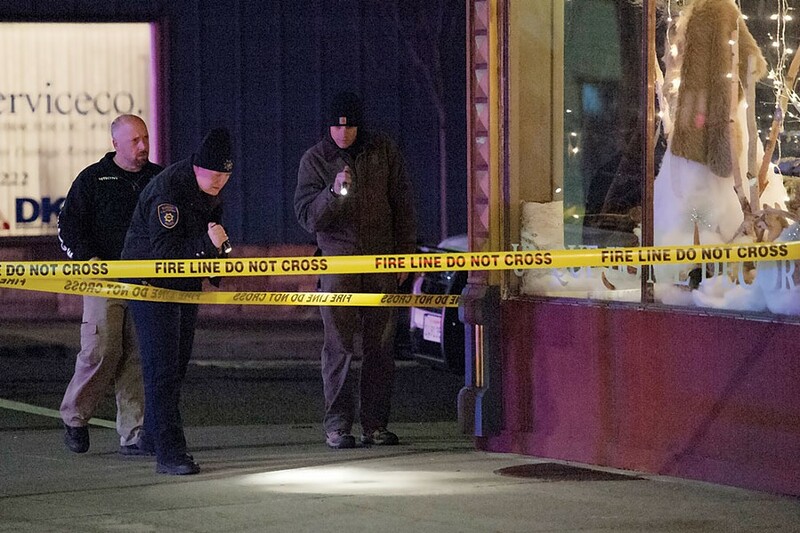 Another was the January of 2016 shooting in Eureka that involved investigators with the district attorney's office, which saw the Humboldt County Sheriff's Office and EPD co-lead the inquiry. In that case, District Attorney Maggie Fleming also asked the California Attorney General's Office to make a charging decision, a protocol also included in the guidelines. Updated in October of this year, the Humboldt County protocols used the Santa Clara County Police Chief's Association Officer-Involved Incident Guidelines as a template. Moving forward, the working document will be reviewed each January. Honsal said he spent several months with investigators of local agencies going over the revised document "line by line" to add more detailed language and address recent developments, such as the use of body cameras by several local departments and the fact that calling in DOJ investigators is no longer an option due to budget cuts. "The Attorney General has advocated to the Governor, the Speaker of the Assembly, and the Senate President pro Tem for the necessary resources to create new teams within the Attorney General's office to conduct criminal investigations of officer-involved shootings," state DOJ Deputy Communications Director Kristin Ford said in an email to the Journal. 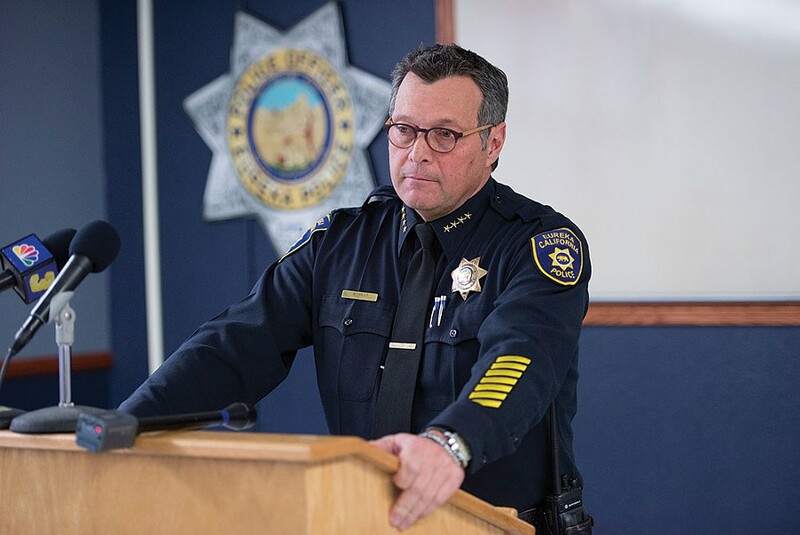 Another change in the Humboldt County guidelines was adding all officer-involved shootings, not just those which result in injury or death, to the list of critical incidents, Honsal said. The protocol, like the one used in Santa Clara County, has built-in allowances for differences in individual agency procedures. The Fortuna Police Department, for example, allows officers involved in a shooting to view video of the incident before an initial interview, while Eureka does not. "This policy is in place for transparency," Honsal said. "That's why we all sign off on it. But it is still in there that it's a discretionary thing." When completed, the current officer-involved shooting investigation will be sent to Fleming, who will have 60 days make a determination on whether any criminal charges will be filed. "The District Attorney's Office at the conclusion evaluates all information gathered during the investigation and may perform an independent review/investigation regarding the death/shooting separate from that of the CIRT investigation," Fleming wrote in an email to the Journal. "Neither the CIRT investigation, nor an independent review/investigation by the DA's Office, is designed to address law enforcement agency policy/procedures — rather, the purpose is to determine if anyone involved is criminally liable. " A second, often parallel administrative investigation looks at whether an officer followed an individual agency's procedures. The process of interviewing officers — which makes up one section of the protocols and is included in the OIS training that CIRT investigators receive — was part of a recent federal appeals court decision to reinstate a wrongful death suit filed by the parents of a Fortuna man killed in a 2012 officer-involved shooting. Ninth Circuit Judge William Fletcher stated in his opinion that officer accounts given to the court had been "suggested" to them during interviews with then DA's Office Chief Investigator Michael Hislop, noting, "their version of events changed over time" and conflicted with physical evidence in the case. That's the type of situation, Honsal said, that CIRT investigators want to avoid. "It's our goal to ask non-leading questions," he said. "We want the officer or deputy to be asked to give a narrative. We don't want to say things like, 'You were fearing for your life and discharged your firearm, is that correct?'" Fleming, who was not in office at the time of the Fortuna shooting, had a similar response. She said there is no set list of questions "because each incident is unique — but establishing what officers saw or heard and an explanation of why they fired (or didn't fire) is always covered." "The best approach to gathering this information is to allow officers to narrate their perceptions of the incident and the reasons for the actions they took without being interrupted," she said. "An officer's description of why he or she discharged his/her firearm is of utmost importance. That information is less effectively conveyed via a series of questions requiring only yes or no answers (e.g. "When you discharged your firearm, were you in fear for your safety?")." At the end of the day, Honsal said the purpose of a CIRT investigation to gather all the facts, as best as possible. "We want transparency," Honsal said. "Whether it's good or bad, it doesn't matter. All we do is speak to the facts of the case."